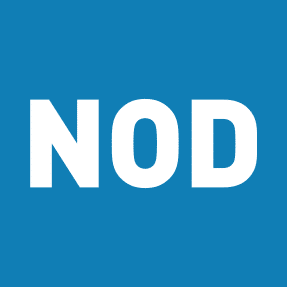 NEW YORK (JUNE 7, 2018) – The National Organization on Disability (NOD) today announced three new members to its Board of Directors. Ken Barrett, Global Chief Diversity Officer, General Motors; Andrew R. Davis, Global Chief Diversity & Inclusion Officer, The Coca-Cola Company; and Mike Gathright, Senior Vice President of Reservations and Customer Care, Hilton, were recently elected to the NOD Board, joining 14 other civic and corporate leaders from across the country working to advance disability inclusion in the workforce. Ken Barrett, Captain, U.S. Navy (Ret.) became General Motors’ first Global Chief Diversity Officer in 2012. Barrett has introduced a number of initiatives at GM that has resulted in increased diversity hiring, greater accountability through actionable metrics, and has leveraged employee resource groups (ERGs) to support employees and market to diverse communities. 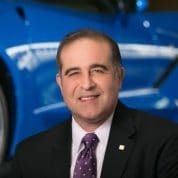 Under Barrett’s leadership, GM implemented the company’s first Disabilities Advisory Council, which focuses on inclusion initiatives that advance and enhance the work experience for people with disabilities. Before joining GM, he served as the Under Secretary of Defense’s Acting Director, Office of Diversity Management and Equal Opportunity, in Washington, D.C. Prior to that, he had five years of experience as the U.S. Navy’s Diversity Director, where he achieved historic levels of minority and female officer additions and transformational work-life balance initiatives. Andrew R. Davis, in his role with The Coca-Cola Company in Atlanta, is responsible for leading the company’s Global Diversity and Inclusion Center of Excellence, as well as the Workplace Fairness function, creating an environment that promotes fairness, respect and appreciation of the similarities and differences for the company’s 700,000 system employees in more than 200 countries. Davis joined the company in October 2007 as the Human Resources (HR) Group Director, supporting the FoodService On-Premise sales team for the North America division. 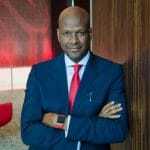 In 2010, Davis was appointed Vice President of HR for the enabling functions of Coca-Cola Refreshments, leading integration, culture and transformation work for the company-owned bottler. In 2015, he was assigned to the Southeast Asia region under the Bottling Investment Division, stationed in Phnom Penh, Cambodia and supported HR capability development for five countries in the region. Davis serves as a board director for Adventist Health in Roseville, CA, as well as the board chair of their Human Performance Committee. Mike Gathright is responsible for overseeing the Global Reservations and Customer Care operations for Hilton’s portfolio of 14 global brands and network of more than 5,300 hotels across 106 countries and territories. Gathright has been instrumental in creating a number of positions for remote workers. He also leads the Abilities Team Member Resource Group for Hilton. Prior to joining Hilton, Gathright served as Director of Americas Customer Service & Global Support Services for Amazon.com, a Fortune 500 company and the global leader in e-commerce based in Seattle, Washington. 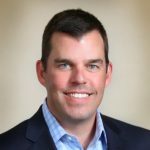 Prior to joining Amazon, he spent 13 years with Capital One Financial where he held various operations leadership roles across the credit card, auto finance and mortgage businesses.